Assembler Maniac wrote: Port 2350 isn't the XMLPC port, it's the one used by the game client to connect to the server. Try port 5000 or 5225. Check the TMServer window, find out what port it's using to wait for xmlrpc connection. J-S wrote: i have few problems with the attribut "adminunlocked" in config.xml. I put it at true but when i arrive on the server, i must always type "/admin unlock pwd". It looks like my testing wasn't as good as it should have been. I screwed up the case of the global $aseco when referencing the unlock_default var. I also had some extra code in the player object that made it be true. Try downloading it now, I've just finished editing/testing and it's working exactly as planned this time. 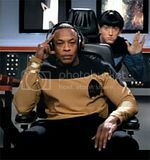 There's also another set of changes in there too. All track ID's and player ID's have been sized/set to full INT unsigned (0 to 4billion), so it might take a little longer on the first run depending on how much data you have in the database. ASECO Version will be showing 2.3.0, and that's what's going to be up on the sourceforge site once this is all tested and debugged. Tried both, same problem with SuperAdmin and I can't find a dedicated.txt where would I find it? if I don't have one, where should I put one? error55o wrote: [-1000] Password incorrect. does the password in aseco-config match the password in dedicated_cfg.txt?? Assembler Maniac wrote: It looks like my testing wasn't as good as it should have been. I think I have a great news for the improvement of Aseco performance (well, not exactly Aseco perfs but more Aseco impact on server performance). This solution is still under tests but I wanted to share it with you since some server holders may encounter performance issues using aseco. 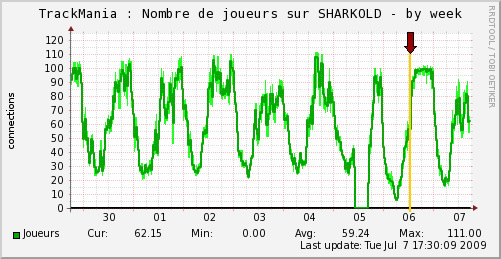 Being in Sharkteam with J-S, we encounter performance issues on our dedicated server since we started Nations Speed Addiction server, which gathers an average of 60 players 24/7 with 100 players peaks and is configured with Aseco 2.2.0c. 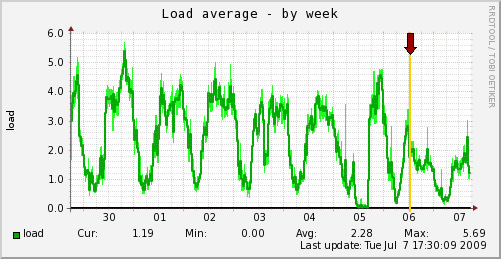 Indicators like "Load Average" or "Cpu usage" were concerning. And after having taken a look at aseco code, I had an idea. I instrumented the main loop to profile the execution and I extracted quantities of data from it. - The loop is executed at an average frequency of 140 Hz (depending on the configuration). And I thought that there were no reason to waste cpu time looping so many times for a limited number of "useful" loops. The other observation I made is that Aseco actions do not need a strict real-time execution. So I decided to test this loop with an additional "sleep" part where Aseco script is basically not running. The tricky part was to find how much time the script should sleep on each loop to let cpu breathe on one side and execute the loop often enough to limit in-game latency effects. Here is the effect on pictures, before the yellow limiter, standard Aseco 2.2.0c with a couple of plugins and on the right side, modified main loop . 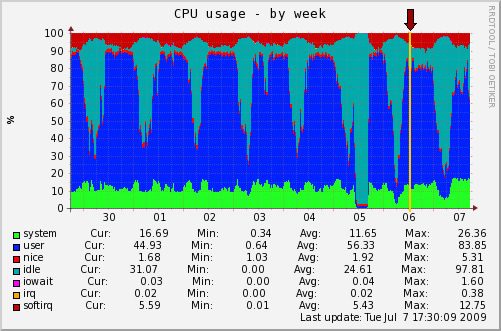 We do have other TM servers running on the same machine, but you can see that NSA impact is the main one ! at the end of the while(true) loop in Aseco::run() method. I have figures too if someone is interested. For those who are still reading, what do you think about this ? Interesting idea, but somehow I feel that forcing the delay in every instance will just end up in more complications -- mostly while doing the heavier work, ie calculating the ranks. I can assure you that even the heavier work is done ! In fact, the script only sleeps for 1/5 th of a second so when the EndRace Event comes out, it will generate all the work as usual (maybe a couple of milliseconds after the event, but who cares ?) and only when everything in the loop is done, the script will sleep again. Plus, as I said, this is still under testing and border effects should be analysed before generalising such solution. Sorry for your player loss, but seeing so many players on such great tracks ...... That's just why we want to provide servers !